There are so many parenting books out there that it can be quite daunting to select the ones that will work best for you. Most of us feel that we could do with a helping hand, certainly the first time around. Here you will find the books (and an app) that we give our Five Little Stars. The list below covers all stages; ranging from new baby, right through the teenage years. The beauty of the parenting journey is that it is individual, and we can all learn from so many sources and pick and choose what appeals to, and works for, us. It is likely that not every single book we have chosen will be for you, but we hope you find something of interest and that helps. The most important thing to remember though, we think, is that you know your baby the best. Trust your own instincts - they are good. The Wonder Weeks, by hetty van de rijt and franz plooij. What is it? 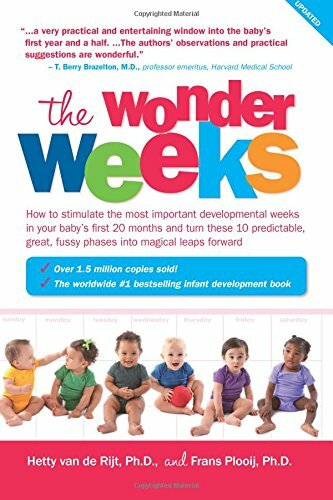 The Wonder Weeks book provides an invaluable tool which helps you understand your baby... Why he/she has fussy periods, and why he/or she has sudden developmental leaps, being able to master new skills. These are time predictable and universal. 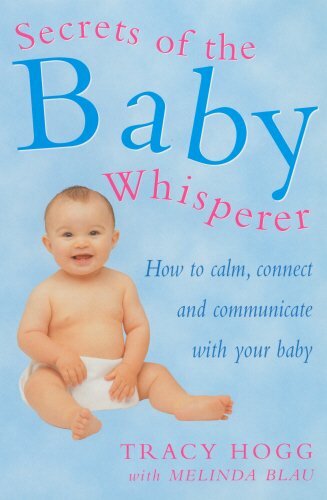 This book will open your eyes to helping you understand your baby's behaviour. It tracks the first 18 months of your baby's life, by the day, and offers practical ways and activities to help your baby in each stage. It is spookily accurate, even down to the timing of head circumference growth spurts. The Wonder Weeks can entirely preserve a new mum's sleep deprived sanity because you understand why your calm happy baby of yesterday suddenly and without warning is clingy and refuses to be put down. It has added credibility, having been written by a highly educated team with backgrounds in Educational Psychology, Physical Anthropology and human baby development studies with decades of experience. This comes in book and App form. The book is great and I highly recommend it for more detail, and lots of ideas to help your baby with the stages, and make the most of his/her new skills when they arise. But, whether you get the book or not, you simply must must must get the user friendily Wonder Weeks App (which does link to downloadable sections of the book anyway, should you be hungry for more)! Before I had my first baby I had a few friends and family members who were already parents, and who from my entirely novice eyes seemed to have the whole parenting thing sorted AND, most importantly to me, happy babies who slept well. I discovered they had something in common - they quietly but confidently recommended the Gina Ford parenting book...with a pinch of reality. Gina Ford's approach is heavily parent led and I too cannot rate it highly enough. My babies have quite different personalities but they sleep well, have done so from an early age, and like the stability of their routine. As do I. First time I thought we were lucky, second time I started to realise was down to our hard work too! I firmly believe that you and your partner need to read Gina Ford's book from cover to cover, ideally before baby arrives (although it's not too late after! ), rather than just looking at the summary routine pages. Then make/adapt it to work for you and your baby. I say this, and I think it is very important, because on reading the book and then being presented with your baby with his/her own set of ideas about when is day and night and when to feed etc, the book may seem inflexible or daunting. Don't be put off though! To make it work for you, you need to understand the experience and theory behind the advice given, which is all explained. I flagged pages, used highlighters and used it like a reference book. It's worth the hard work required to establish the routines in the beginning, as I found they made my babies very contented, and also very adaptable away from their usual routine with some planning. The trouble shooting and case studies sections were also excellent. I could find any problems we were having in there and follow the advice. If friends asked me about a problem, I could point them to the relevant pages in the book. Gina Ford has her critics though, she seems to be a bit like Marmite (you love it or hate it!). I also followed her "Contented Little Baby With Toddler" book, second time around, which is written a little differently to the first book, and somewhat more pragmatically for fitting a baby in with a life. Perhaps if there was more of this in the first book, more people would find it easier to follow. The Baby Whisperer approach is still routine-based but rather than adhering to a set timetable, it teaches parents to follow a cycle called E.A.S.Y which stands for Eat, Activity, Sleep and You. It strikes a balance somewhere between a baby led and parentled approach. Alison's experience was that it can work really well for spirited babies or those who won't sleep at set times. The Baby Whisperer encourages you to read your baby’s signs so you know when to put them to sleep before they become overtired. Rather than rush in, taking the time to stop and watch your baby helps you to do this. This part is interestingly very like the French parenting approach described as ‘le pause’ in the book ‘French Children Don't Throw Food’, by Pamela Druckerman (from my time here in France this book is a remarkably accurate observation of French parenting in so many ways, and a great read too!). This is a real "lightbulb" book. I don't know how to rave about it enough!! I have heard it recommended so many times that I borrowed it from a friend, and before I was even half way through (chapter 2 I think) I had my own copy ordered on Amazon. The title describes what it is about - in short, effective two way communication. I can see myself gong back and dipping in and out of this book many many times throughout my whole journey as a parent. I am urging my husband to read it too. And you!! 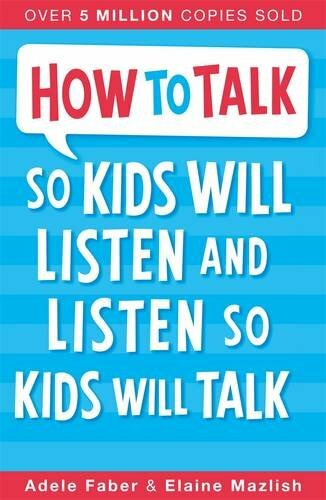 This book is relevant for all ages of children and teenagers, right from the moment they can talk and understand. I have already started implementing the ideas with my pre-schooler (just turned 3), and it is making me think differently about how I handle nearly every situation we are in. Raising children is such a minefield, and I get a nagging feeling sometimes that with my little monkeys I only get one chance to get it right (whilst of course we all inevitably make mistakes along the way - because we are human, and that's ok!). This book has given me confidence though. That said, when you begin, it is a book that may seem a little intimidating as it is dense and has little exercises throughout - it is worth it, and you can take your time reading it. I don't think it will matter what age your children are when you first read this book. Indeed a friend of mine started implementing the ideas with her late primary school age children and they knew she had read the book and mocked her a little as they recognised that she was doing things differently - so maybe keep your new tactics secret!! As well as many yummy inspiring recipes, I found the meal planners particularly useful when I first introduced food (this photo is from my book which is the original version). Weening was my favourite baby stage of all. I loved the anticipation, preparation, creation, execution and results. I have 2 mega foodies for children with amazing appetites, and whilst this may be partly genetic (my husband and I live to eat, rather than eat to live! ), I firmly believe this superb book played a huge part in their entirely non fussy, enthusiastic love of food. I was excited to start introducing solids, but had so many questions before I started: When? How much? What? How often? How to increase and introduce new flavours and food types? What to avoid? How to be creative? 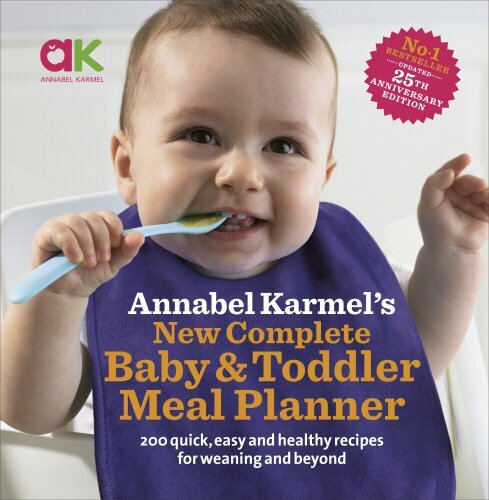 Annabel Karmel deals with it all, and more. I loved her easy to follow charts, with the explanatory text and loads of truly yummy recipes. I have another recipe book for the later stages of family cooking that I love (What's for Dinner, by Fay Ripley) but for the first stages and beyond I think this book by Annabel Karmel is all you need. It looks like since I bought my book Annabel Karmel has published a "new" version (link below), but I have every confidence that this is even better than the version I have. My belle-soeur (French for "sister-in-law", and what a pretty description it is!) 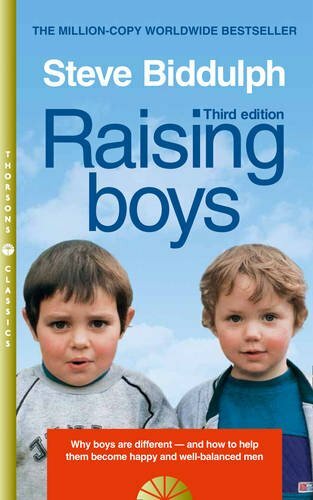 has been telling me about the "Raising Boys" book ever since we knew my first pregnancy was a boy. I expressed my real concerns that as a girlie girl, with a sister, who went to a girls school... I felt utterly ill-equipped to have a boy. Whatever we may think about boys and girls being the same, the reality is after the baby stage the differences become clearer. Boys and girls in many ways are wired differently. This book explains how. I read the boy's book with keen interest. I felt I was soaking up all the different developmental and emotional stages boys go through. I was mentally taking notes of the advice throughout, because none of it felt familiar. The cover of the book promises to show us how to help our boys "become happy and well balanced men"...thats what we want, right?! Then I read "Raising Girls", because I have one of each! Whilst I feel parenting a girl should be more intuitive to me, I am aware that what has made me a strong independent adult did not make for easy teenage years for my parents, and as my daughter is showing a wilful personality already, I figure I'm going to need all the help I can get. 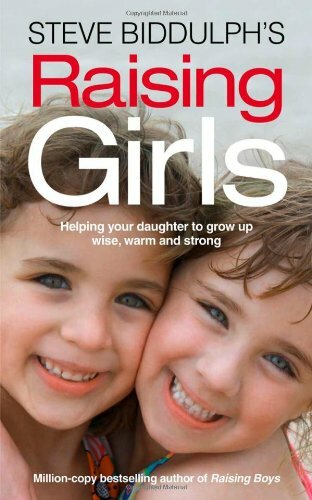 The "Raising Girls" book is longer than the "Raising Boys" book (perhaps no surprise!) and is written in a different way. "Raising Girls" feels much more psychological. It promises to help you to raise a daughter that is "wise, warm and strong" - fingers crossed! I nodded along throughout this book, both agreeing and learning sensible approaches at the same time. How much of a chord this book rang with me bolsters my confidence in the "Raising Boy's" book. I think I ought to give them both to my husband for his male perspective and see if he has the same feelings as I, but the other way around! 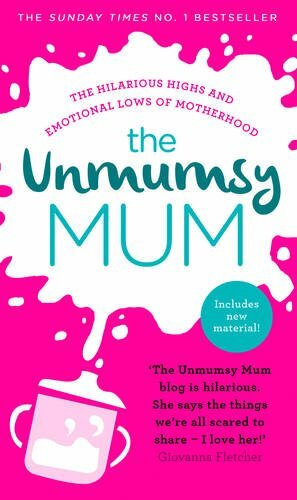 AND she has just published a new book too called The Unmumsy Mum Diary (click here for the Amazon uk link) which I am eager to read too! Five Little Stars loves her blog as well (you can follow her here). p.s. if you found any, or all, of these book reviews helpful and think this post may be of use to a friend/friends we would love if you would share it! The Amazon links above are FLS affiliate ones, for your shopping convenience. MagnaTiles V's Playmags - what's the difference and which one to buy!